Olney is a a great base from which to visit Santa Pod. 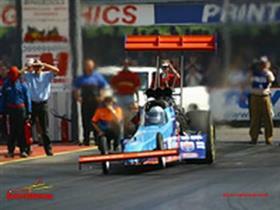 The circuit is perhaps best known for its drag racing. In a drag race two cars compete to accelerate the fastest over the course of about a quarter of a mile. The heats leave a winner progressing until there is one driver left. It's an exciting spectacle! Santa Pod also hosts over 50 events between January and November including: National Drag Race meetings, Classic car events, Modified car shows (The Fast Show and USC), VW Beetle & Camper festivals (Bug Jam and Big Bang), Japanese Performance car events (The JapShows)and specialist events (Performance Vauxhall Show, Classic Ford Show, Mini in the Park, UK Truck Show, BMW Show, Wheels USA).